Try a host of tawny elixirs in Atascadero in early May. MARCH 15, when tickets'll go for fifty bucks (the end date on that deal is April 1). After the first of April, tickets are available for sixty dollars. That ticket will put you front-and-center before about 15 to 20 regional cider makers, including Tin City Cider of Templeton, not to mention Scar of the Sea and See Canyon. The Atascadero Lake Pavilion is the place, and a traditional pig roast, with Chef Jeffrey Scott of Vineyard Events at the helm, will lend the day its centerpiece feast. 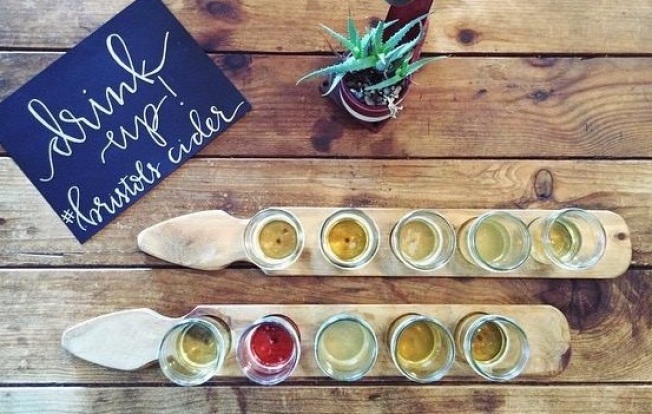 Music, that Atascadero charm, and apple-y bevs that would do California's craft brews and fine wines proud will fill the first Saturday in May, a day that's quite far from fall (further proving that a stellar cider is a year-round sip).